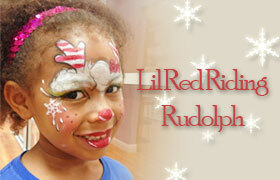 Lia volunteered to be my model for this Lil Red Riding Rudolph, my latest tutorial. 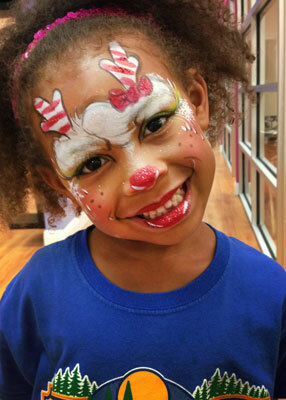 This is a Rudolph the red nose reindeer inspired design and it’s a perfect face painting design for boys or girls around the Holidays. I will show you how to create this design step-by-step in my video tutorial below. Thank you all for watching! I hope you enjoyed the tutorial! 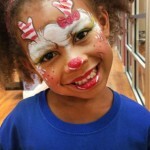 Leave a comment below and tell me what kind of face painting designs you would like to see in future videos! This entry was posted in Videos & Tutorials and tagged christmas, Face Paint, Face Painting, How To Face Paint, rudolph, Tutorial, video. Bookmark the permalink.